African Violets | Pale Lavender Shimmer & Scattered Holo Finish Nail Polish | by Black Dahlia Lacquer by Black Dahlia Lacquer LLC at Nicky's Blog. Hurry! Limited time offer. Offer valid only while supplies last. African Violets is a pale lavender shimmer with a subtle scattered holo finish. It is opaque in one coat. This is for our 14 ml full size polish. 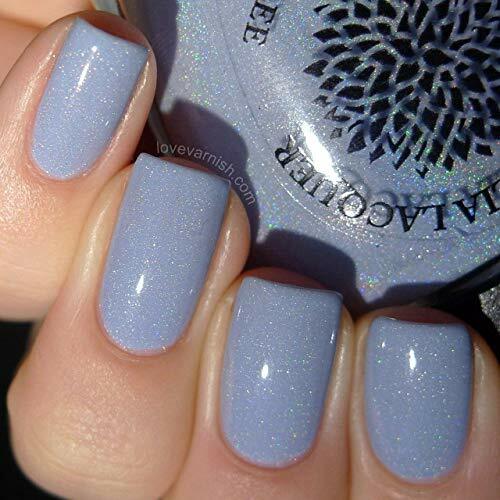 African Violets is a pale lavender shimmer with a subtle scattered holo finish. It is opaque in one coat. This is for our 14 ml full size polish. Color: African Violets is a pale lavender shimmer with a subtle scattered holo finish.